I got into a discussion with another CQI minder provider recently and we were discussing how they were using CPR feedback devices to try to find out why they had such a "poor" survival rate compared to other jurisdictions. We discussed what kind of feedback, how the data is collected and reviewed and, most importantly, what to do with it. Their main frustration was that, over the last 2 years, their CPR compliance has been fantastic, with good rates, depths and recoils, yet their survival to discharge rate has not changed. I asked if hey were looking at bystander CPR rates, public access AED use and their response times. In the race to jump on the feedback bandwagon, this agency had completely missed that it isn't about how long we do good CPR but about how soon we can do it. A few emails and phone calls later and we learned that their EMD dispatchers were giving CPR instructions 100% of the time...but the caller compliance was only in the 30% range, meaning that only 30% of their CPR 911 calls were getting compressions in the 4-10 minute average response time. When asked what our save rate was at the Airport I told them and they thought I was lying. I won't spoil the surprise but when someone collapses in a crowded place where all employees get free CPR and AED training and there are AEDs pretty much every 60 seconds walk...survivability is high. Add to that people travelling through who know CPR or are medical professionals. 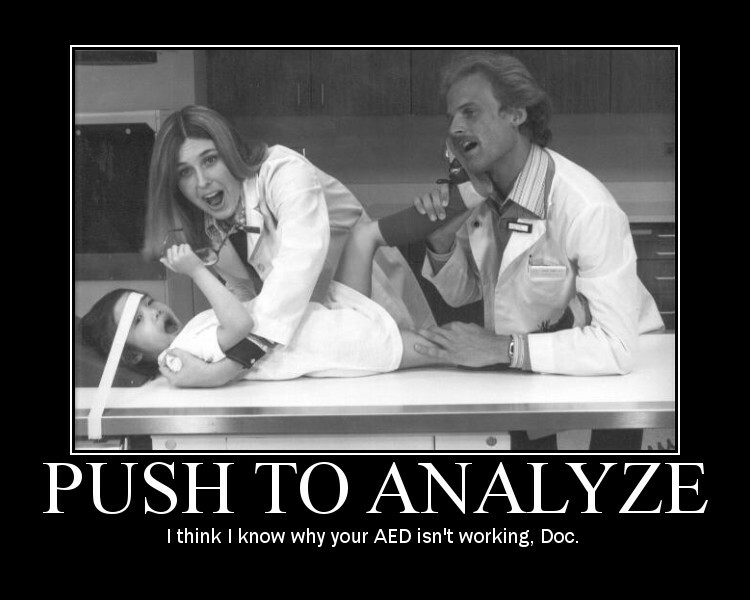 I've had more patients in v-fib receive CPR and a shock and return to consciousness than I've had to pronounce. Consciousness. Without a chief complaint. Forget ROSC, this is our goal. We don't even get to an advanced airway or IV meds. 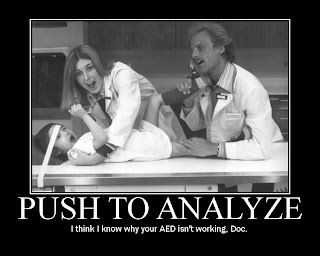 The CPR and AED do all the work, usually before we even get the dispatch. Is it possible to achieve these results when we include Grandpa Joe who died in the night and Grandma Ethel didn't do compressions? Should we include Mr Jones who collapses at a bus stop from a brain tumor? How do we measure successful cardiac arrest performance when we never discover what the actual cause of death was? We have one set of tools and medications but rarely find a patient in those exact circumstances I'd wager. Early CPR and early AED. That's in the first 5 minutes of the AHA CPR course. Many municipalities still brag about ROSC or tout a higher than 50% survival to discharge, careful to mention if it meets Utstein inclusion criteria under CARES. CARES is a great first step to determine outcomes, but we must demand more transparency for our providers as to the cause of death in order to more accurately assess our interventions. Imagine a provider getting a secure EHR message about a patient's cause of death and learning that no matter what they tried it wouldn't have helped. That would be huge. Until then we'll keep doing what we do and hoping we can convince the public to do something, anything, before we get there.